Multi-awarded actor and director Roeder Camanag is set to lead an all-male cast to act as females in Dulaang UP’s “Ang Dressing Room: Kung Saan Lubusang Pangungulila Ang Dulot Ng Agos Ng Panahon”—a 1977 post-war Japanese play by Shimizu Kunio, translation adapted by Chiori Miyagawa from an original translation by John Gillespie and its Filipino translation by Palanca award winning playwright Nicolas Pichay under the direction of Alexander Cortez. Together with Roeder are seasoned artists of Philippine theatre, film, and television including Andoy Ranay, Gwyn Guanzon, and Ian Ignacio. The play within a play tells the stories, frustrations, memoirs and aspirations of four actresses preparing backstage (gakuya, in Japanese) and waiting for their cue to enter onstage. All actresses express their desire to perform the lead role and their obsessive coveting for it ignites a comic yet dramatic narrative about shared memories and their relationship with each other. “Ang Dressing Room: Kung Saan Lubusang Pangungulila Ang Dulot Ng Agos Ng Panahon ”is a tender and humorous drama about actors, the theatre, ageing, surviving and moving on. 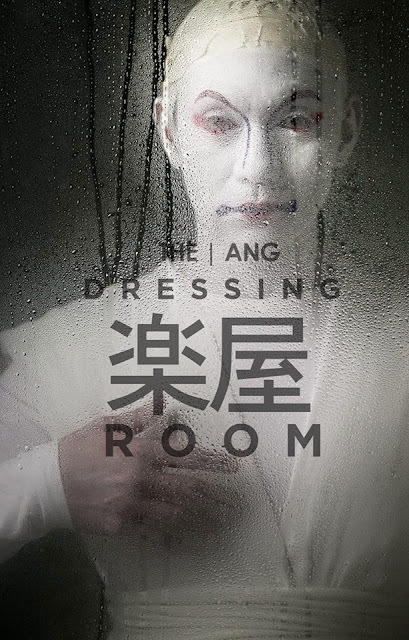 “I am also glad that this play, Shimizu Kunio’s The Dressing Room, is all about dreams, sacrifices, focus, determination, struggles and survival, life, life in all its beauty and drama. And I am happy to work along side wonderful actors Andoy Ranay, Gwyn Guanzon Ian Ignacio and Jon Abella. It’s also my first time to work with director Alex Cortez." The English version “The Dressing Room: That Which Flows Away Ultimately Becomes Nostalgia features an all-female cast namely Frances Makil-Ignacio, Ces Quesada and Missy Maramara. Also featured in the production are up-and-coming theatre actors, Maxine Ignacio, Marynor Madamesila and the Dulaang UP ensemble. The artistic team is composed of Dexter M. Santos (choreography), Ohm David (set design), Meliton Roxas Jr. (lighting design), Faust Peneyra (costume design), Jethro Joaquin (sound design), and Patricia Balboa (video design). 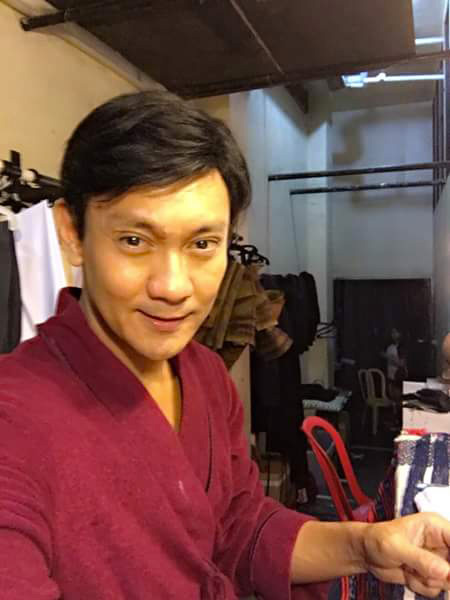 Ang Dressing Room: Kung Saan Lubusang Pangungulila ang Dulot ng Agos ng Panahon opens April 13, 14, 15, 16 and 17 (10 am and 3 pm), April 20, 22, 23 (10 am) and April 24 (3pm). All evening shows start at 7 p.m. The Dressing Room: That Which Flows Away Ultimately Becomes Nostalgia runs April 7, 8, 9 and 10 (10 am and 3 pm); April 19, 21, 23 (3 pm) and 24 (10 am). All performances are held at the Wilfrido Ma. Guerrero Theater, 2nd floor, Palma Hall, U.P. Diliman. For tickets, reservation, sponsorships, and show buying inquiries, call Samanta Hannah Clarin or Camille Guevara at 926-1349, 433-7840, 981-8500 local 2449 or email dulaangupmarketing@gmail.com. Like the official Dulaang UP page at www.facebook.com/DulaangUnibersidadNgPilipinas. The Dressing Room: That Which Flows Away Ultimately Becomes Nostalgia | Ang Dressing Room: Kung Saan Lubusang Pangungulila ang Dulot ng Agos ng Panahon is produced by special arrangement with the playwright, Chiori Miyagawa.